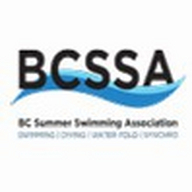 The BC Summer Swimming Association and the Vancouver Island District are hosting the 57th Annual Provincial Championships from August 17 - 23, 2015 at Saanich Commonwealth Place in Victoria, BC. The Provincial Championships will bring young athletes from across BC together in one of the largest multi-aquatic-sport events in Canada. The competition includes four sports - water polo, springboard diving, synchronized swimming and speed swimming. The Provincial Championships are expected to bring 5,000 people to the city, including 1,500 athletes and 200 coaches.